Shopping for Planet of the Apes Action Figures? 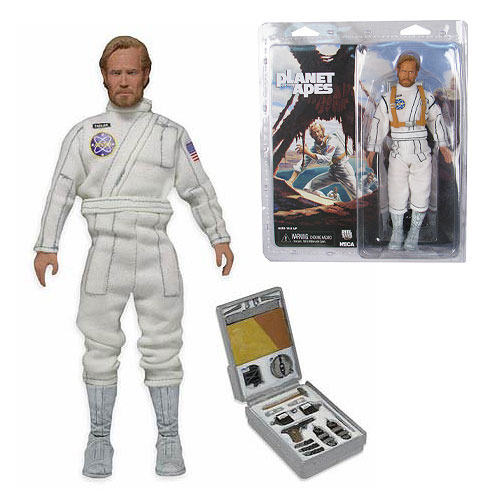 Retro action figure fans will rejoice at this George Taylor doll based on the beloved 1968 film, Planet of the Apes, featuring the likeness of actor Charlton Heston! The poseable 8-inch articulated figure is dressed in fabric clothing similar to the toy lines that helped define the licensed action figure market in the 1970s. Other versions of George Taylor have been released in the past, but this is the first that features Heston''s likeness. George wears his astronaut uniform and comes with a removable backpack that opens. Blister card packaging with removable protective clamshell. Ages 14 and up.